The snuggle sack is the perfect instant bed for when small children want a daytime snooze. Manufactured with an integrated fibre filled cushion for a comfortable sleep. The snuggle sack can be rolled up and packed away to take up minimum space. 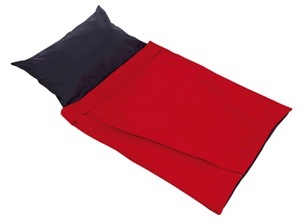 Made in wipe clean fabric for easy maintenance the snuggle sack is supplied in a pack of 5.